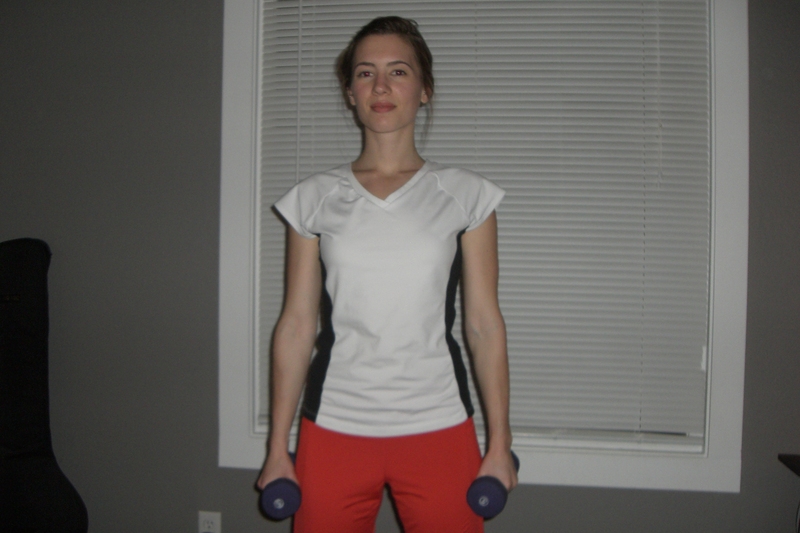 Stand with your feet approximately shoulder width apart and hold a dumbbell in each hand. Allow the dumbbells to hang down at your sides with your palm facing inward. 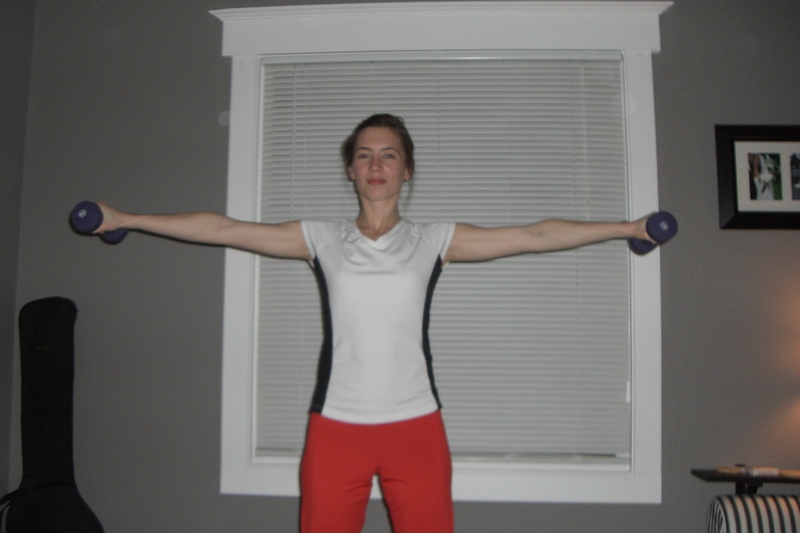 Raise both dumbbells toward the ceiling, stopping when your arms are parallel to the floor. Hold for 1 second and return to the starting position. I did these earlier today! Thanks for the tip. Do you have any great adductor exercises for inner thighs??? I’ll work on an inner thigh exercise for the next lower body move of the day on Monday just for ya!